The Breckenridge Vent Free fire boxes are zero clearance certified and they can also use any certified vent free gas log set. 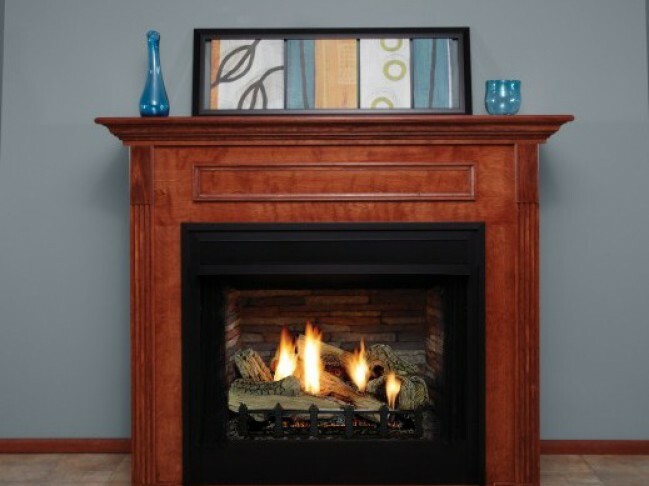 Available in 32", 36" and 42" fire boxes, these fireplaces are priced well for new construction and room additions. These vent free fireplaces have several liners to choose from, including Traditional Brick, Aged Brick, Banded Brick, Stacked Limestone, Herringbone Brick, Refractory Brick, Polished Black Metal and Brushed Stainless. Decorative Louvres, Doors and Frames are also available on Deluxe and Select models. Standard cabinet and corner mantels are available in 7 different frame colors.